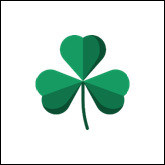 Saint Patrick’s Day is celebrated every year on 17 March, which marks the date when Saint Patrick died. 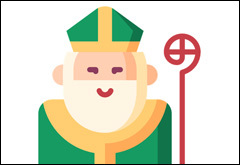 Saint Patrick was born around 385 AD. His actual country of birth is not really known, but it is believed that he was born on the west coast of modern Wales and England. His father was a deacon, and therefore a good Catholic. When he was sixteen years old, he was kidnapped by a group of Irish raiders. He was taken to Ireland where he was sold into slavery. Patrick then spent six years tending sheep in the West of Ireland. While Patrick was tending sheep in Ireland, he prayed 100 times a day. One night, he heard a mysterious voice calling to him and saying, ‘Look! Your ship is ready!’ Patrick knew that this message meant that it was time for his escape. He returned home and was reunited with his family and friends. At this time he began to realise he had a vocation to the priesthood. He was ordained and developed a profound relationship with God and a great ability to pray. I believe that I was helped by Christ the Lord. We beg you, Holy Boy, to come and walk again among us. After this, Patrick trained as a bishop and returned to Ireland. While Patrick spread Christianity around Ireland, he was often beaten, put in chains and extorted. Why is Saint Patrick’s Day so widely celebrated? Saint Patrick actually shares his feast day with six other saints. So why is Saint Patrick’s day so widely celebrated? A Franciscan Priest named Luke Wadding advocated in Rome for all of the Irish Catholic Priests who had been oppressed. He wanted Saint Patrick’s Day to be recognised by the Vatican and to become a part of the Church calendar. The first Saint Patricks Day was actually held in New York in 1762 and was celebrated by the mass of Irish immigrants living in America. Nobody really knows why the colour of Saint Patrick’s day is now green. Traditionally, his colour was a light shade of blue. Saint Patrick used the shamrock (or clover) to teach about the trinity and how these things are separate but can be part on the one thing. 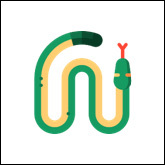 Saint Patrick did not drive all of the snakes out of Ireland. We know this because there were actually no snakes in pre-modern Ireland. 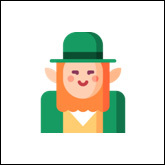 The leprechaun is a small Irish fairy. He is often pictured dressed like a shoemaker, with pointed shoes and a hat. He is often used as a symbol of Ireland. 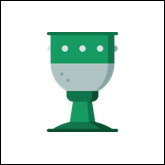 You can find out more about Saint Patrick and access a wide variety of learning activities at Understanding Faith in Unit 36, Part 2, Page 14.